Enzyklopädie … kombiniert mit unserem Buyer's Guide! Hier können Sie alle Banners sehen, die auf der Website von RP Photonics angezeigt werden. Dies kann nützlich sein, wenn Sie ein bestimmtes Banner gesehen haben und es wieder finden möchten, um weitere Details nachzusehen. Beachten Sie, dass Sie auch Ihre eigenen Banners auf unserer Website anzeigen lassen können. Siehe hierzu die Seite über Werbemöglichkeiten. The encyclopedia already contains 753 articles. 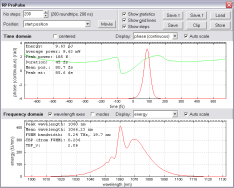 Define index or doping profiles with the graphical user interface. 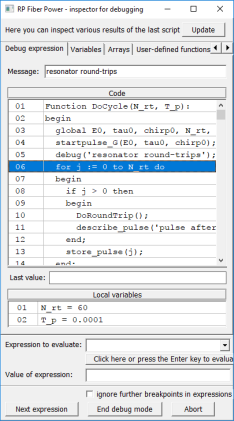 Calculate the guided modes and all their properties. Calculate how much power of a laser beam is launched into the modes. Simulate light propagation within the fiber and coupling of light from one fiber to another. The basic version of this software is offered for free! 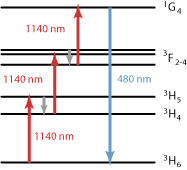 Evolution of the spectrum of an ultrashort pulse in a fiber. The spectrum becomes very wide at the right end; this is called supercontinuum generation. 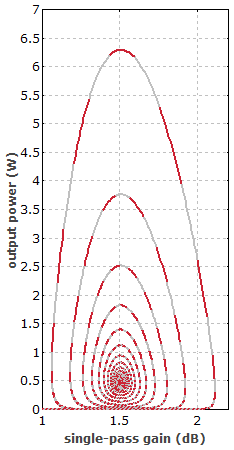 Pulse energy from a regenerative amplifier, when the number of resonator round-trips per amplification cycle is varied. Such instabilities (involving several bifurcations) can be well studied with a numerical model. Evolution of the intensity pattern of pump light in a double-clad fiber. 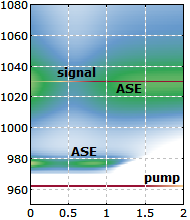 After some distance, the pump absorption in the fiber core leads to a "hole" in the pump light pattern. Color-coded reflectivity of a Bragg mirror as a function of wavelength and angle of the incident beam. This diagram has been made with the RP Coating software. Color-coded field penetration in a Bragg mirror as a function of wavelength. Color-coded field penetration in an etalon structure as a function of wavelength. Evolution of the reflectivity spectrum of a Bragg mirror during fabrication. A femtosecond pulse hits a Gires--Tournois interferometer (GTI). Field penetration into a rugate filter. The quality of a laser product is largely determined by its design and not just by the used parts. Note: with a trial-and-error approach you may waste a lot of time and resources. (Also consider time to market!) Therefore, competent help is the key for cost-efficient and lower-risk developments. You may also involve us only if you got into trouble, but coming earlier is usually better. A clearly written user manual belongs to every high-quality product. A research proposal (e.g., for an SBIR project) needs to be convincing in all respects. Venture capital firms need to be properly informed on the developed technology, its potentials and limitations, competing approaches, etc. He is most experienced in writing, producing high-quality documents efficiently. He may bring in new perspectives and ideas. You save time which you can spend on other things. 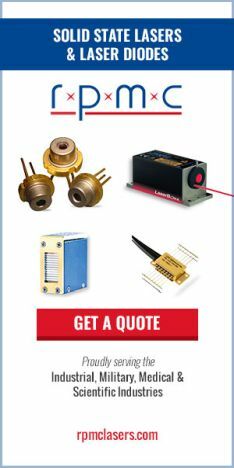 Just contact RP Photonics to find out what we can do for you! A CTO of a laser company needs to know whether some new technical idea is worthwhile pursuing. Maybe there are some hidden problems? A user of lasers is told about a great new laser architecture – but will it really serve her needs? Venture capital firms need to find out what the potentials and limitations of certain technologies are. We call that applying due diligence. He has a good overview on many technologies and their potentials and limitations. His analytic mind allows him to develop a balanced perspective, taking into account all relevant aspects. He is well trained in writing useful reports. What length and doping level should I choose? What is the best suited material? How do these product specifications relate to my requirements? and who gives you impartial advice, not influenced by possible commissions, for example. This is one of the offers of RP Photonics. Such work costs something, but far less than what you can waste by buying the wrong things. Just contact us before making critical purchase decisions! Many product specifications by suppliers lack quality – they are incomplete, not sufficiently clear, etc. Buyers are often not aware of what they really need. For example, they forget essential requirements. Due to a lack of clarity, tedious communications between supplier and buyer are required. Product specifications raise expectations which cannot be met. Conflicts can arise over such issues. 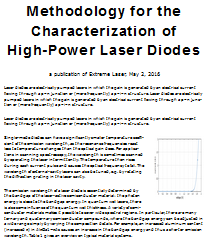 Our Photonics Spotlight article and our encyclopedia article on laser specifications give you important hints. In case of doubt, contact RP Photonics to get competent and impartial advice. 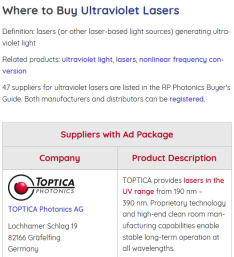 Why register your company and products in the RP Photonics Buyer's Guide? 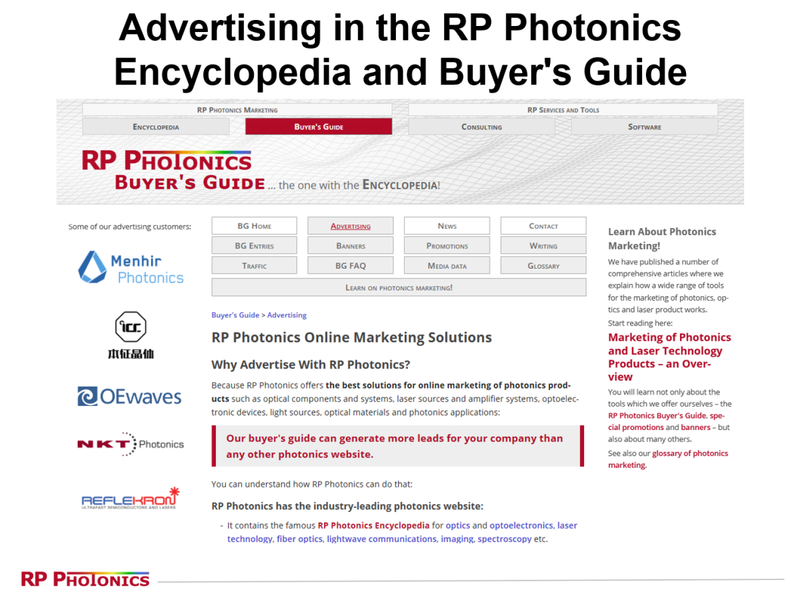 It is the industry-leading photonics website – largely due to the famous RP Photonics Encyclopedia! Your target audience is here. Tens of thousands use it every month. Search engines also know that. So your products must be visible here! Make Your Buyer's Guide Entries! 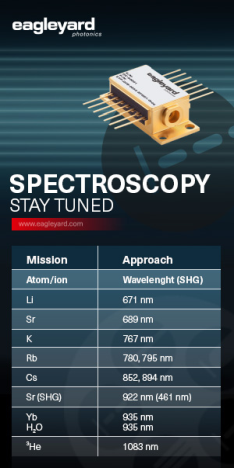 If you have nice photographs of laser devices, measurement equipment, optical components, etc., which are suitable for illustrating aspects in our encyclopedia articles, you are welcome to send them to us! Researchers may also have photographs or drawings of experimental setups, microscope images and the like. Such materials should of course help to illustrate aspects of general interest, rather than only very specialized matters. We also do not accept pictures which are primarily advertising. Of course, we always acknowledge the source of an image in the figure caption, so that you get your proper credit. 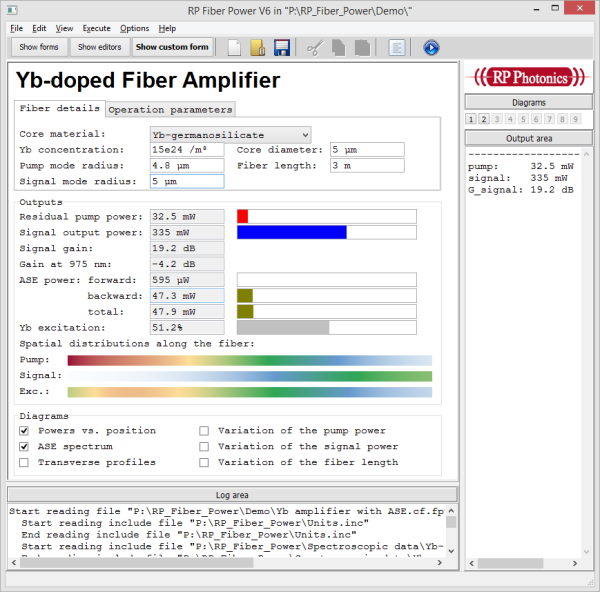 Do you need simulation software (such as our RP Fiber Power) only during a short-term project? Or do you want to test such software very thoroughly before fully committing to it? 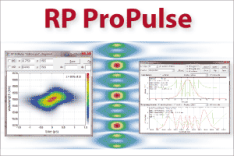 RP Photonics is now offering a solution: software licenses which are valid for a limited time. Pay only 5% of the amount for a permanent license for one month. When switching over to a permanent license directly thereafter, get the already paid money fully deducted! If you decide for that only later on, still get two thirds deducted. We are confident that you will like our software and finally decide for permanent licenses. 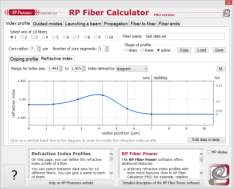 Since RP Fiber Power V6, one can work with nice custom forms, which can be tailored to specific applications. Users can make such forms themselves, or get them from RP Photonics within the technical support. The latter is like buying a custom software for every purpose – but without spending a lot of money every time! Beginners can now get started very easily, even if they need quite special calculations!